In the middle of the controversies involving Pres. Duterte, majority of his supporters remain on the side of the firebrand leader. This, despite of his remark about God that earned tons of criticisms plus the recent law against 'tambay' or bystanders in the wee hours of Metro Manila. These issues may have bolstered the rage of Duterte's critics against him, but also, it strengthened the support of the people who believe in him and see through his actions. 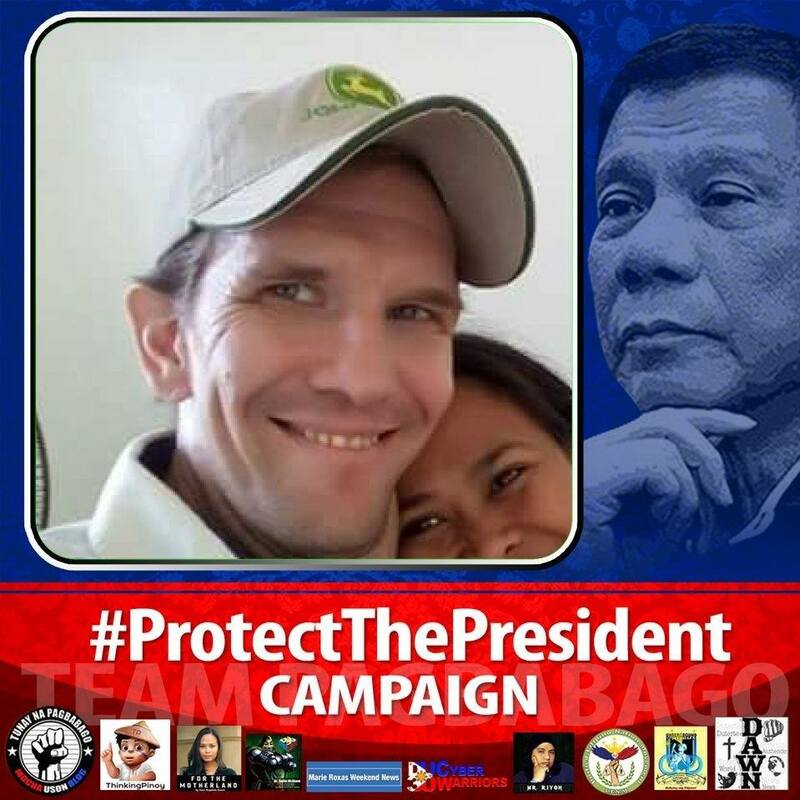 Among the many is an American who is a vocal staunch Duterte supporter as seen on his Facebook profile. Steve Rogers, former Talent Manager of actors for Star Wars based on his Facebook bio, expressed his support to Pres. Rodrigo Duterte in one of his posts. Entitled 'DUTERTE IS MAKING THE PHILIPPINES BETTER THAN THE U.S.A.', Rogers shared his opinion about how the highest leader of the land is doing his best to take the country to greater heights. In addition, he emphasized that the people, not just the Filipinos, but from all around the world, should be grateful for the efforts of the Mindanaoan president. Each Filipino and all people around the world should be greatful for President Duterte. The pro-Duterte netizen even pointed out that due to the newly launched government drive called Anti-Tambay, the tourism in the country will thrive as this fosters disciplined citizens and safer streets that are free from crime. With the Anti-Tambay situation the streets of the Philippines are becoming even more safe. This, brings in more foreign tourism to the Philippines as tambays are required to simply show respect to their fellow Filipinos, tourists, rid the streets of drg pushers and addicts that collect in and around the streets including elsewhere. For Rogers, the will of the incumbent president to reduce crime in the country is better than many cities in the United States of America. What Duterte is doing is better than many U.S. cities. Thousands of tambays have been @rrested in Manila alone but Duterte did not order for any @rrests. Only those who are violators. Mistakes can also be made and can also be cleared up. Some people say well, tambays sit at our Sari-Sari stores to buy cigarettes, @lc0hol, snacks and that brings in business. However as everyone knows these stores only profit one - two Pesos from each product sold on the average. He also gave an advice on how to those who will be greatly affected by this new law can help themselves. For those who are guilty of this here's how you can help yourselves, others, your country and even when your a President Duterte supporter or not. Get a job. Attend a job fair. Observe silence, go in your home at the 10:00p.m. curfew and watch T.V. play a game, make sure your children have what they need for school the next day. Do this and your wife will not come looking for you to bring you home late at night putting themselves in danger. We all know there are still some drg pushers and addicts out late so why on earth would anyone (unless it's something such as a medical emergency) subject their families to that. The job of a husband and wife are to be rocks for each other to lean on for support, their parents plus children. 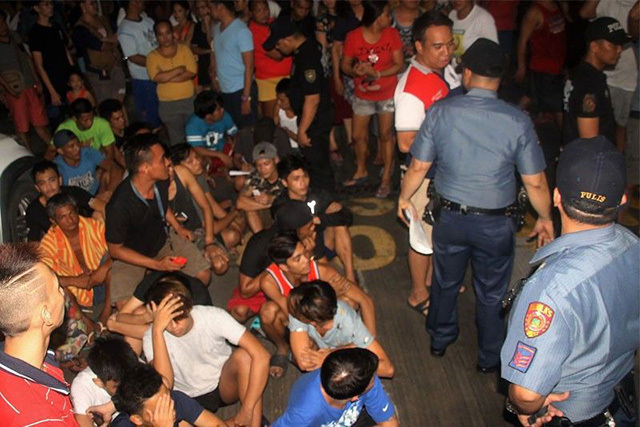 It was not to have OFW family members send money so that some can sit around all day and night drinking and taking drgs. Why am I so firm on this subject. Because it was on one Christmas that a group of drg addicts/pushers and drunks surrounded the front of my families home and almost mrder3d us. DUTERTE IS MAKING THE PHILIPPINES BETTER THAN THE U.S.A.
Each Filipino and all people around the world should be greatful for President Duterte. With the Anti-Tambay situation the streets of the Philippines are becoming even more safe. 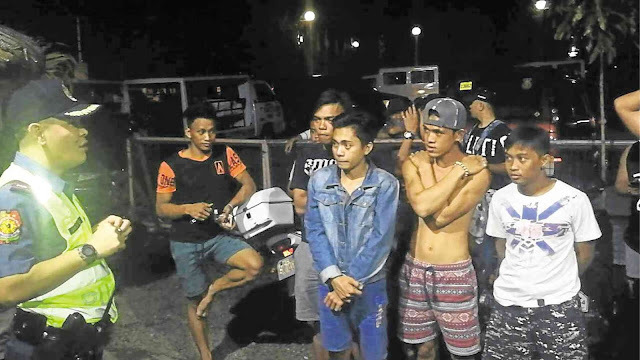 This, brings in more foreign tourism to the Philippines as tambays are required to simply show respect to their fellow Filipinos, tourists, rid the streets of drg pushers and addicts that collect in and around the streets including elsewhere. But what about the Sari-Sari store owners who usually have family members living in that house that have a job that need good sleep for the following days work? They can not get it with a group of drunks outside. What about the senior citizens who own these businesses that have younger family OFW members sending them funds to support these stores? These senior citizens need sleep. Also, they can have medical problems and can not get up every two minutes to make a one-two sale. Then, let's not forget the very young children who help their grandparents with sales and need sleep to go to school. They are the future of the Philippines. It's they who are seeing this happen and want no part if it. They want what Duterte is working on daily, a first world Philippines. Above all that will help the most out of this and all problems will be for all to use a hard dose of discipline in every life event. If there's anything that will bring a family down like a ton of bricks it's a drunk and a drg addict within a family. Stop adding to the problems of the Philippines and start being the positive change. Your family, children, grandchildren will love you for it. To not do so means that you only have yourself to blame. Nothing wrong at all with having a drink from time to time in a responsible, respectful, disciplined manner after a hard days or weeks work. But the time has come to get with the program. Why am I so firm on this subject. Because it was on one Christmas that a group of drg addicts/pushers and drunks surrounded the front of my families home and almost mrder3d us.